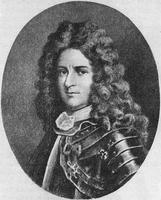 PASTOUR DE COSTEBELLE, PHILIPPE, French officer, governor of Placentia (Plaisance), then of Île Royale (Cape Breton Island); b. 1661 in Languedoc; d. 1717 at Port-Dauphin (Englishtown, N.S.). Philippe Pastour de Costebelle was born in 1661, before 8 November, and probably at Saint-Alexandre, a village in the diocese of Uzès near Pont-Saint-Esprit, where reference is made to his family as early as the year 1400. He was the second son of François-Barthélemy, lawyer in the parlement of Languedoc, captain and castellan of the baronies of Thorrenc and Andance in Vivarais, and of Marie Du Plessis, second wife of François-Barthélemy. He is known to have had three brothers: Louis, the eldest, Joseph and Barthélemy, the younger ones, and a sister named Françoise. Like the majority of the minor provincial nobility, Philippe was destined for a military career. In 1683 we find him at Toulon as a midshipman. In 1692 he was made a lieutenant and posted to the company that his brother Louis commanded at Placentia. Louis Pastour de Costebelle was born in 1658, and after having also been a midshipman had first served in the fleet, fighting in the Mediterranean against the Barbary pirates. He had been appointed an infantry lieutenant in 1687, and had been instructed to bring to Placentia 25 soldiers as reinforcements; since that time he had scarcely left Newfoundland. Philippe’s voyage in 1692 was not an untroubled one, for the vessel on which he was sailing, the Joly, was shipwrecked 20 leagues from Placentia. Crew and passengers had to find shelter on an island, where Governor Monbeton de Brouillan sent his nephew Saint-Ovide [Monbeton*] with a shallop to pick them up. But the poor lieutenant had lost his baggage and arrived completely destitute. The two brothers hardly caught a glimpse of each other, since Louis went back almost immediately to France, where he was to serve again in the Marine before retiring to his estates in 1696. 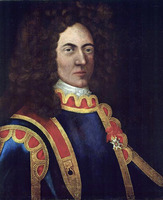 The French colony of Newfoundland, which had fortunately emerged from its anarchical situation since Brouillan’s arrival in 1691, remained nonetheless vulnerable to the assaults of its English neighbours, so that Pastour de Costebelle did not have too long to wait before displaying his qualities and his bravery. In September the French had to repulse an attack by five British ships. Costebelle distinguished himself in the affair with the ardour of his 30 years, so much so that Brouillan was able to write about him that he had “done his duty too well.” From an expedition to Trinity Bay in the spring of 1693 Costebelle brought back six prisoners. Thus he familiarized himself with the war of skirmishes and sudden attacks which the French and English were waging against each other in Newfoundland. But the affair of August 1693 was more serious, since this time some 20 English vessels, under the command of Sir Francis Wheler, were trying to force the entry to Placentia. There was an artillery battle from 28 to 31 August, and the English fleet finally withdrew, without having been able to put its landing companies ashore. Costebelle was sent to Versailles with the governor’s report. On 25 Jan. 1694 he was appointed captain of the company which he had already been commanding in fact since his brother Louis’ departure. But when he returned to Placentia, another of his brothers, Joseph, commonly called Pastour de Mérieu, accompanied him. All the Costebelle brothers were to see service in Newfoundland, since the last, Barthélemy, was to die there that same year. A close understanding seems to have existed between the governor and the captain of the regular troops; indeed Brouillan wrote to the minister that Pastour de Costebelle would be perfectly capable of replacing him, and on his side Costebelle did not fail to pay tribute to his superior’s qualities. As the Baron de Lahontan [Lom d’Arce], then king’s lieutenant at Placentia, had left his post in 1693, Costebelle was appointed in his place on 13 March 1695. The new king’s lieutenant immediately concerned himself with improving the living conditions of the settlers and making more equitable regulations for economic relations with the seasonal fishermen. Pastour de Costebelle, having gone to France in 1696, did not take part in the successful expedition of Brouillan and Pierre Le Moyne d’Iberville which, sacked almost all the English settlements in Newfoundland. When he returned on 18 Aug. 1697 he hoped to replace Brouillan, who was leaving to have his wounds cared for. But Joseph de Monic was chosen instead to govern in the interim. Costebelle accepted this and made ready to serve his new chief to the best of his ability. Monic was himself absent from October 1698 to August 1699, which enabled Costebelle to take over his duties in the meantime, under difficult conditions, for he had only meagre resources with which to repair the dilapidated fortifications. He also established land communication with the settlers of St Mary’s Bay. When Monic returned, fundamental differences of opinion on the defence of the colony and the regrouping of the settlers opposed the two men. Was this the reason why Costebelle went back to France in 1700? He was at Versailles on 13 Jan. 1701 and at Pont-Saint-Esprit on 23 February, and sailed again from La Rochelle on 11 May. By the time Costebelle got back to Placentia on 8 September, Monic, by his despotic and harsh authority, had created an untenable situation there, so much so that at the beginning of 1702 the court terminated his mission. Once more Costebelle’s hopes were disappointed, since on 1 April 1702 Daniel d’Auger de Subercase was appointed governor. Costebelle’s character could not show up to better advantage than in these lines, taken from a letter of 14 October: “I would willingly serve under the command of an officer in whose conduct or outstanding merit I recognized some air of distinction, even if his lack of seniority were to make me feel some aversion for him.” In reality the new governor did not take up his office until the spring of 1703, and Costebelle continued to act in the interim. There had been a sharp alarm at Placentia in September 1702, when it was learned that 13 English vessels, well armed with cannon, were cruising in St Mary’s Bay. But this fleet headed for Saint-Pierre, which the English ravaged once again. On 8 November Costebelle gave a war commission to the Sieur Du Tilly, a privateer captain, who in December and March went to pillage the English settlements in Trinity Bay. Meanwhile he had again been obliged to rebuild the half-destroyed fortifications. Subercase finally arrived, and right away the new governor and the king’s lieutenant found themselves in complete harmony. Despite a fresh alarm, the year 1703 was calm, and Costebelle must have reflected that at 42 it was time to take a wife. On 1 Feb. 1704, at Placentia, he did in fact marry Anne de Tour, daughter of Germain de Tour and step-daughter of Le Gouès de Sourdeval. This did not prevent him from taking part the following winter in Subercase’s daring expedition against St John’s. But poor Costebelle, accidentally hurt and sorely tried by the cold, had to be evacuated to Petty Harbour (Petit-Havre). Thanks to Subercase’s military and administrative qualities, he was called on in 1706 to become governor of Acadia, and Costebelle finally became governor of Placentia. He benefited from his predecessor’s experiments in farming, for when he took up office he found himself the owner of 7 cows, 3 bulls, 15 ewes, and 2 rams, and a large main building on the shore at Placentia. The development of the colony was moreover in full swing. The land under cultivation was yielding well. New settlers were arriving. The seasonal activity of the Basque and Saint-Malo fishermen was not too greatly obstructed by the English or Dutch cruisers. Numerous ships put into the port. However, scarcity more than once made itself felt, when the convoys did not arrive from Quebec or France. Costebelle devoted all his energies to keeping up Fort Saint-Louis and consolidating its defences. For if he had little fear of an attack by land, from the woods which were patrolled by militiamen and Micmacs, he dreaded an action from the ships which, despite his vigilance, might have forced the narrows. His relations with the English authorities of St John’s were sometimes courteous, for by virtue of a special agreement prisoners were exchanged reciprocally. In June 1708 the governor was made a knight of the order of Saint-Louis. But if Costebelle could more or less protect himself against the English, he scarcely had the resources to launch a significant operation against them. The putting in of the Phénix, a ship destined for Hudson Bay, the presence of two brigantines from Quebec, and especially the arrival of the frigate Vénus, which had just captured a boat from Boston and had on board 20 soldiers from Acadia and some privateers from Martinique, were going to give him the opportunity. Forthwith the governor assembled a column of about 170 men, an amazing mixture of soldiers, sailors, fishermen, privateers, and settlers, under the command of Saint-Ovide, the new king’s lieutenant. The expedition left Placentia on 14 Dec. 1708 and made its way overland to St John’s, where it arrived at dawn on 1 Jan. 1709. The forts were taken in a few hours, and the town was occupied during the day. But how was such a conquest to be held, with only 155 able-bodied men and 800 prisoners? Saint-Ovide was very much at a loss. Consequently Costebelle made up his mind to have St John’s abandoned as soon as March came; the Vénus took on guns and ammunition and the forts were blown up. Louis XIV could not fail to approve the governor’s decision. As a counter-offensive from the English was to be feared, substantial reinforcements arrived from Placentia on 10 June 1709: the vessel the Fidèle, the flute Rutland, and 200 regular soldiers. Meanwhile Costebelle received the land grant at Point Verde (Pointe-Verte) which he had asked for, and Saint-Ovide was made a knight of the order of Saint-Louis. Although the English did not react immediately, the scarcity of provisions made itself felt so severely during the winter it could well be called a famine. The first merchant ships finally arrived on 27 April 1710. Thereupon Costebelle, who naturally had intelligence agents in Boston, learned that Queen Anne, on pretext of aiding her threatened American colonies, wanted above all to impose her sovereign authority on them, through a governor appointed by her and furnished with full powers, “these peoples having acted up to now as little Republicans governed by their own sovereign council.” Consequently Costebelle suggested to Versailles that diplomatic action calculated to encourage the Americans’ liking for independence be undertaken, so that they would be induced to negotiate their affairs directly with the French. As Pontchartrain shared these views, Costebelle entrusted Louis Denys* de La Ronde, former commander of the Vénus, with this delicate mission. Towards the end of November 1710 La Ronde therefore went to Boston, but he arrived at an inauspicious time, and had no success. Indeed, the port was full of the ships of Admiral Walker’s fleet, whose intentions were distinctly bellicose, and the instructions of the court of France fell into the hands of the admiral himself! Arrested and condemned to be hanged, La Ronde owed his salvation only to the complicity of Joseph Dudley, the governor of Massachusetts. With the reinstatement of an English governor at St John’s, and with the British establishments put to rights, the skirmishing at sea started again worse than ever. The settlers of Placentia and Saint-Pierre, and the Basque, Norman, and Breton fishermen suffered by it, despite the cruises made by French sailors and privateers; meantime scarcity of foodstuffs became a more or less permanent part of existence. The French colony of Newfoundland was dying, and despite his foresight Costebelle could meet only the most pressing demands. On 22 Oct. 1712 news of the cessation of hostilities reached Placentia. On 16 April 1713 the treaty of Utrecht was signed, giving Acadia, Newfoundland, and Hudson Bay to England. Costebelle received an order to evacuate the French from Newfoundland to Cape Breton Island, or Île Royale, where the aim was to re-establish the lucrative Grand Banks fishing industry. It was hoped also that the Acadians would be attracted there, so that for the first time the cod industry would enjoy the support of a solid agricultural base. Saint-Ovide, sent by Costebelle to explore the area, decided on a point on the east shore, the Havre-à-l’Anglais, where the town of Louisbourg was later to rise. The difficulties which the new governor of Île Royale had to face can be readily imagined. In the first year, 1713–14, it was necessary to provide winter quarters and supplies for more than 160 persons. The evacuation of Placentia, of the other settlements, and of the islands of Saint-Pierre and Miquelon could not of necessity be carried out until the summer of 1714. Costebelle himself was the last to sail, on 25 September, on board the Héros. Provisions were lacking; so were the materials for building the most modest kind of shelter, and during this time, from 1713 to 1716, the population reached almost 3,000 persons. Despite these difficulties the Newfoundlanders, whose fishing unquestionably depended upon their links with metropolitan France, went there almost with one accord. On the other hand the Acadians, who were for the most part farmers, and who were less dependent on the mother country and were also more sceptical, in the main refused to move, preferring their farms “which are under cultivation” to “unworked, new land, where it is necessary to uproot the standing timber,” as Félix Pain* wrote. Costebelle was a widower when he arrived at Île Royale, but we do not know when he lost his wife. He remarried on 12 Feb. 1716 – thus when he was 55 – at Port Dauphin (Englishtown, N.S.). His wife was Anne Mius d’Entremont, a widow of 22; she was the daughter of Jacques Mius d’Entremont, second Baron de Pobomcoup, and of Anne de Saint-Étienne de La Tour, both from old Acadian families. His young wife had been the widow of her first husband, the Chevalier de Saillans, since the age of 13! The year 1716 was spent in feverish activity to get the new colony started: they had to transport cannon, erect forts and dwellings, re-establish the fisheries, parcel out the beaches, build flakes and stages, explore the shores, and mark out the fairways. To these normal difficulties were added the indecision of the court at Versailles as to the site of the new colony’s chief town: after approving the choice of Louisbourg, a sudden decision was made in 1715 in favour of Port Dauphin, to which the administration, the garrison, and the principal services of the colony had to be transferred. In 1718, however, the order was given to bring the capital back to Louisbourg. Costebelle, who had watched over everything and given his efforts unsparingly, finally ruined his health, which was already impaired. He accordingly decided to go to France: he wanted to give the king an account of his administration, and family affairs required his presence. On 23 Nov. 1716 he left Louisbourg with his wife, and on 25 December landed at Belle-Isle, whence he travelled to Nantes, and then to Paris. On 11 April 1717, in Paris, Madame de Costebelle gave birth to a daughter, Marie-Josèphe, who was baptized the next day in the church of Saint-André-des-Arts. In June the Costebelles were at Pont-Saint-Esprit. On 9 Aug. 1717 the governor of Île Royale sailed from La Rochelle on the frigate Atalante to return to his post. During the crossing his health became so bad that he felt it necessary to dictate his will from his bed to the ship’s writer. This was on 6 September. Exhausted, he died soon after his arrival at Louisbourg, at the beginning of October. He left his widow in the most complete penury, for if he had served his king well, going so far as to dip into his pocket to keep open house for English officers taken prisoner, he had scarcely given any thought to his own fortune. Overwhelmed by grasping creditors, Madame de Costebelle, when the repayments that she believed she had a right to expect did not arrive, experienced hardship bordering on destitution. She went back to France at the end of 1717 to plead her case before the king. She finally retired to Béarn to await the settlement of her affairs. On 20 Aug. 1719 she married a third time; her husband was a seigneur of Béarn in comfortable circumstances, the Chevalier Laurent de Navailles, Baron of Labatut. By his first marriage Philippe Pastour de Costebelle had had a daughter, Anne-Catherine; on 2 Sept. 1719, at Lyons, she married Jacques de Bertaut, a receiver of salt-taxes, and after becoming a widow she joined the Carmelite order at Trévoux (principality of Dombes). His other daughter, Marie-Josèphe, was to marry, in January 1737, François de Rivière, Marquis de Giscaro. Georges Cerbelaud Salagnac, “PASTOUR DE COSTEBELLE, PHILIPPE,” in Dictionary of Canadian Biography, vol. 2, University of Toronto/Université Laval, 2003–, accessed April 25, 2019, http://www.biographi.ca/en/bio/pastour_de_costebelle_philippe_2E.html.